The Utah Symphony Masterworks season concludes with the decadent melodic reveries of Rachmaninoff’s Symphony No. 2. The magical concert completes this final program with performances of Korngold’s Violin Concerto, featuring concertmaster Madeline Adkins, and a newly commissioned work by acclaimed French composer Tristan Murail. Unwind with the NLA-Utah Chapter after work in preparation for the weekend “hikinks”! Meet like-minded folks in a relaxed and vanilla social setting to get the lay of the land if you’re new to the Utah scene, or to catch up on your friends’ lives. NLA-Utah is an open-minded and transparent group, accepting of a lot of kink styles and orientations. They create a safe zone for new people coming out to meet others, to make new friends, and become involved in the leather kink community. Gene Nate says Club Try-Angles is proud to be serving Kiito’s family of products, and are especially proud to host the launch party of their new Big Gay Ale. It’s so gay that it’s Pink! So, let’s clarify — it’s a Pepto party on the patio where plowed patrons falsely feel proud they won’t puke? Cool — gives Koti (not Kiito) piece of mind I’m sure. Oh, and Kiito’s Brewery will donate a portion of all Big Gay Ale sales to Utah Pride Center. Jitterbug Coffee Hop is having a sign-making party for their participation in the Pride Festival and Parade. So join their LGBTQ staff and jitterbugs, and allies in “getting salty” with a magic marker. Whoa!! 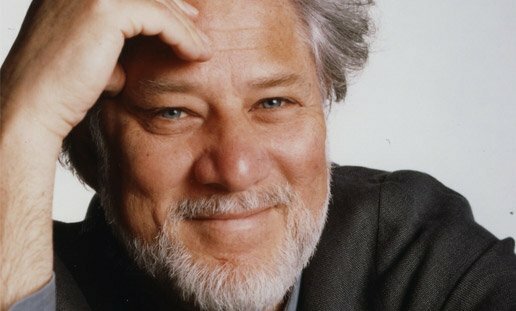 Michael Ondaatje, author of The English Patient and The Cat’s Table, will read from his new novel, Warlight. The aftermath of war shed a livid glow across the world long after the last bombs were dropped in 1945. In London the lives of two children, Nathaniel and Rachel, were caught in that eerie glow when their mother disappeared, leaving them in the care of “The Moth,” a stranger they’d met once. The siblings entered a strange new world, their home a sort of night circus with The Moth its impresario, his sidekick “The Darter” ever-present, and a menagerie of mismatched urban dwellers from beekeepers to opera stars, dog smugglers to ethnographers to spies. Need you more info? Sounds fantabulous! Hey Furries, Oaken is hosting a hike up Neff’s Canyon to the Utah Bears Cave — Ummm, that may not be true. Anyhoo, Oaken also compiled a list of things you should bring in order of importance: Furry tails (not fursuits … poachers, and all) hiking boots/good grip sneakers, backpack, a lot of water, snacks, sunscreen, and hat.